If there is one thing that I have learned from various traditional card and board games, it's that they fail to hold my attention every single time. I have had Magic: The Gathering and Yu-Gi-Oh decks given to me by friends hoping that I share their costly paper cards addiction as well as after playing with them multiple times, but to no success on their end. I have also spent many rainy days playing Monopoly with family and... well, never want to play that game ever again. Strangely enough, what is basically Magic-meets-Monopoly: The Video Game Series, AKA Culdcept, has captivated me in each incarnation. Though, admittedly, the strategic card game series has not been released nearly as frequent as I would like considering the last title we even got from the series in English was Culdcept Saga back in 2008 on the Xbox 360. 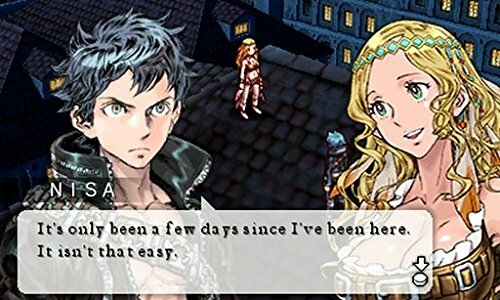 Nearly a decade later, publisher NIS America has decided to give the previously thought-to-be-dead franchise overseas another shot by localizing Culdcept Revolt on the Nintendo 3DS. With welcome portability and various refinements to the addictive core gameplay Culdcept Revolt makes for a worthy gem amongst the 3DS's library. 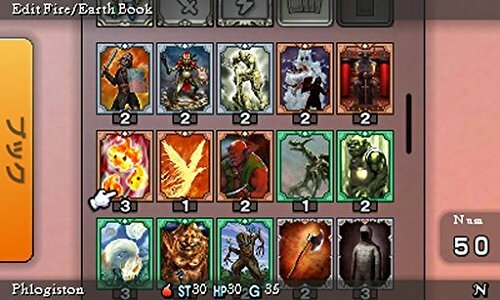 For something that is clearly its own breed of card game, Culdcept Revolt eases the player into its systems quite nicely. Tutorials are plentiful as each new card mechanic and stage gimmick is introduced. To break it down into more layman terms, the basic ebb and flow is that players roll dice on a looping game board and try to collect tolls until reaching certain total of points (and then reaching specific goal posts). Sounds a whole lot like Monopoly, right? 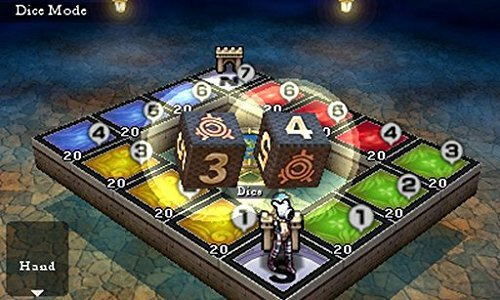 You would be right in assuming the similarities to the iconic board game, but the part which actually makes Culdcept Revolt fun is the card game component that bears many similarities to Magic: The Gathering. Throughout the match, players will put down different creatures to guard certain spots. If an enemy player lands on the square with a creature, they can either attempt to defeat it with one of their own or be forced to pay the toll. There are a lot of tricks to employ from smartly seizing territory, utilizing spell/item cards in and out of battle, or finding that right sense of creature card synergy too. And that is just the surface of it. Deck building in of itself is one big learning experience in Culdcept Revolt. Players will be getting plenty of random new card packs via the in-game shop and will face enough devious AI throughout the main story whom are not sympathetic toward those who don't change things up. To give one an idea of how much fine tuning I did, I started the game with the basic Air- and Water-themed deck that is strongly reliant on overwhelming the board with many monsters and gathering chain bonuses. By the end, however, my main deck primarily composed of only a handful of fire/earth monsters and whole lot of spell cards to quickly shuffle, gain extra money, and insanely buff those handful of creatures in the process. As with pretty much any game around dice rolls and shuffled cards, there is a fine line between it feeling fun and fair or cheap and annoying. Unfortunately for the player, the default AI difficulty in Culdcept Revolt is skewed towards getting more lucky dice rolls than they deserve. I will be honest and say that my loss ratio is easily higher than my win ratio, and a lot of it was oppressively bad luck and dice rolls early in (ok, the latter never got better for me). Still, there is no penalty for losing (aside from time) as you can not only forfeit mid-match at any time if it feels like a lost cause, but also still get points to purchase more cards via win or loss to encourage that much more player card experimentation. Win or lose, however, I was utterly absorbed in learning/employing the different strategies in matches and stealing many clever tricks that the AI used against me for myself. There is more than enough depth to the gameplay, and deck composition in general, to compensate for bad luck as I gleaned from overhauling my card decks more than a few times. It is genuinely rewarding to formulate a smarter overall play style, and I eventually got to the point where my current card deck pretty much never lost at all in the story mode at all because of how far removed from luck it became. Though, I certainly had to learn to understand the means in which I accomplished it. Believe it or not, there actually is a story in Culdcept Revolt. Not a good one, mind you, as it features the whole amnesiac lead trope and throwaway supporting characters, but it is there in some capacity. The storytelling is thankfully inoffensive and provides just enough context as well as excuses to see different creative applications of decks and the various game modes. It is also worth noting that the player can not even touch or see most modes and features until getting to a certain point within the campaign -- including online/offline multiplayer (which makes sense since you can only really get points to buy card packs early in by playing story mode matches). When you do unlock them, the player can create lobbies with specific rule types like team matches, card types limitations, or even turn animation speed, to cater to a more competitive spirit if one is so inclined. 2017 has been a curious year for the 3DS library. Nintendo has gone out of its way to bring many old-school Metroid and Fire Emblem fans exactly what they want. But if the player decides to stray off the beaten path of first-party titles, they will find gems like Culdcept Revolt this year as well that are more than worth keeping an eye on for existing 3DS owners. While its inherent focus is not likely to change the mind of those that detest card games in general, Culdcept Revolt should please those with an open mind towards strategic card/board games and is more than rewarding on that front. For a series that has a surprisingly long history, Culdcept Revolt manages to be a fun and fresh new addition to the 3DS's library.